Asked & Answered: Does a submission release affect my copyright? Should I sign? This is intended as general information only and does not establish an attorney-client relationship. It is not a substitute for a private, independent consultation with an attorney selected to advise you after a full investigation of the facts and law relevant to your matter. We will not be responsible for readers' detrimental reliance upon the information appearing in this feature. Q: When submitting spec screenplays to production companies writers are usually asked to sign a standard release form. The form often include a line stating that if a production company uses material ‘containing features and elements similar to or identical with' the submitted material then the writer cannot seek any compensation. Does signing such a form affect a writer's copyright? Asked and Answered: What good is having a copyright if I don't have money to sue an infringer? “Asked and Answered” will be a new occasional feature of this blog. From time to time, I'll answer some of the most frequently asked questions I receive in my practice. Q: Greetings. I am unclear as to what exactly a copyright protects regarding a screenplay. My basic understanding is that it protects only the expression of an idea and the characters. Could you please elaborate on this? Also, how could a poor man contest an alleged copyright infringement when, presumably, the other side would have money? 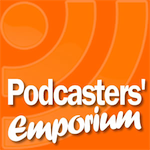 I'm very flattered to have been asked to travel (sadly, only virtually) to Australia to join James Williams and Dave Gray, the hosts of Australia's “Podcasters Emporium” to talk about the legal ins and outs of podcasting. Here's a direct link to the episode: http://shows.lifestylepodnetwork.info/podcastersemporium/2009/09/27/episode-18-legally-unblonde/ It was a blast talking to the guys, and I'm looking forward to joining them again!. Thanks James and Dave! Visit the links above, or just listen here! Asked and Answered: Should I have a Loan Out Company? The Google Books Settlement and music publishers: EMI opts out. Asked and Answered: Do I need a release to tell a true story about a person?